(although should I find it before posting I’ll include it. FOR SALE - getting some sales going so I can buy more myself. Cross posted. Bom Vindin - looks like an import as has importers stickers covering front and rear. See images. £15. Solo Cassian - small bit of sticky on back - £20. All includes postage/courier and fees. Last edited by Taffius on Fri Feb 15, 2019 7:54 am, edited 1 time in total. £11 posted if it helps anyone out a bit? Sent a PM with couple of questions on the snow speeder. Hot Toys- Complete. Only displayed Once. Mint condition. Last edited by lejackal on Mon Jan 28, 2019 5:08 am, edited 1 time in total. Taffius wrote: FOR SALE - getting some sales going so I can buy more myself. Cross posted. Bom Vindin - looks like an import as has importers stickers covering front and rear. See images. Was £15 now £12! TFA Stormtrooper - Was £19 now £16! Solo Cassian - small bit of sticky on back - Was £20 now £18! All includes postage/courier costs and fees. What you pay is the total! Last edited by Taffius on Sat Mar 09, 2019 12:20 pm, edited 1 time in total. 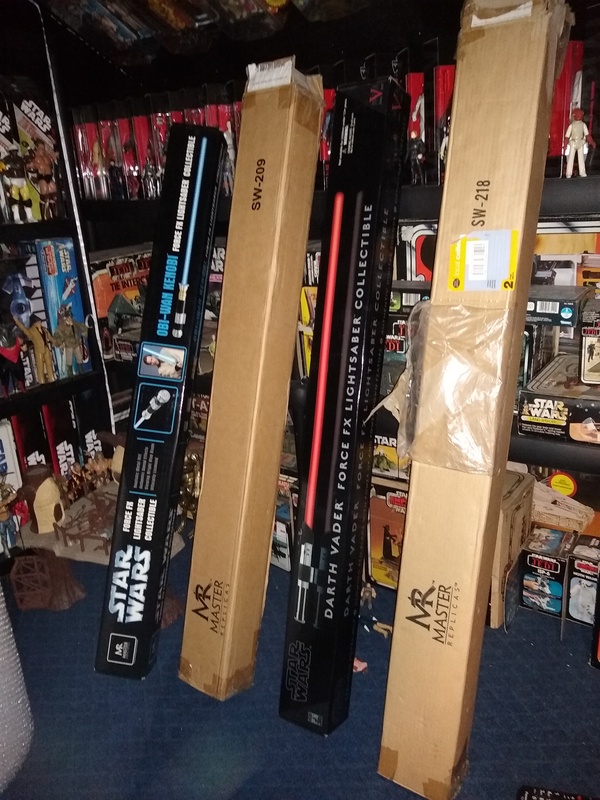 Daughter is selling her TFA/TLJ collection to fund a Hot Toys purchase. 14 MOCs in total £35 so works out at £2.50 per figure. Hot toys Rey Resistance Outfit 1:6th scale figure. Bought direct from sideshow. It has been opened and displayed briefly in the pose pictured in a display cabinet In a pet and smoke free home. Item is complete and in immaculate condition with all original packaging. The instructions are sealed and have never been removed. Item will be shipped with original hot toys shipping box and will be sent in a strong well padded box so everything arrives in perfect condition. db94 wrote: Daughter is selling her TFA/TLJ collection to fund a Hot Toys purchase. Those that have been opened were displayed but then returned to original boxes. All complete and mint. 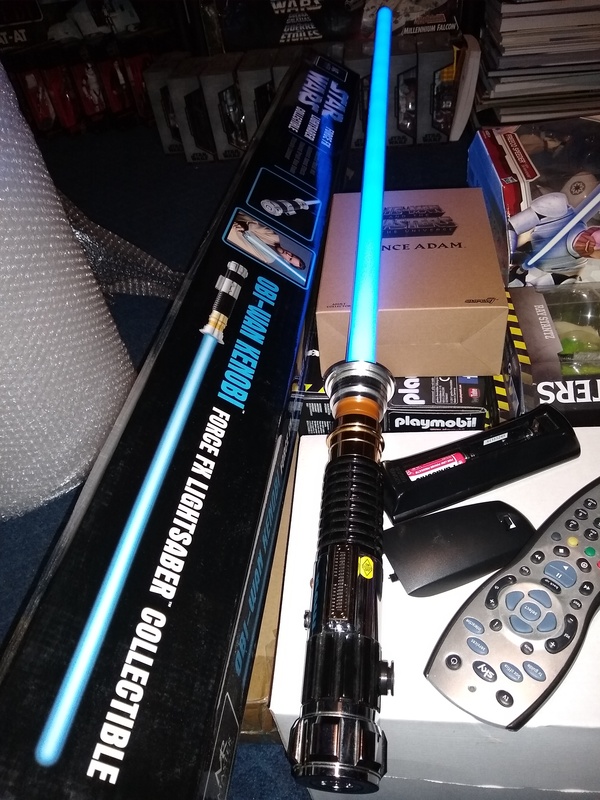 I've decided to part with my Master Replica Force FX Revenge of the Sith Obi Wan Kenobi SW-209 lightsaber. This was released on May 18, 2006 (first sold to public on July, 19th at SDCC). 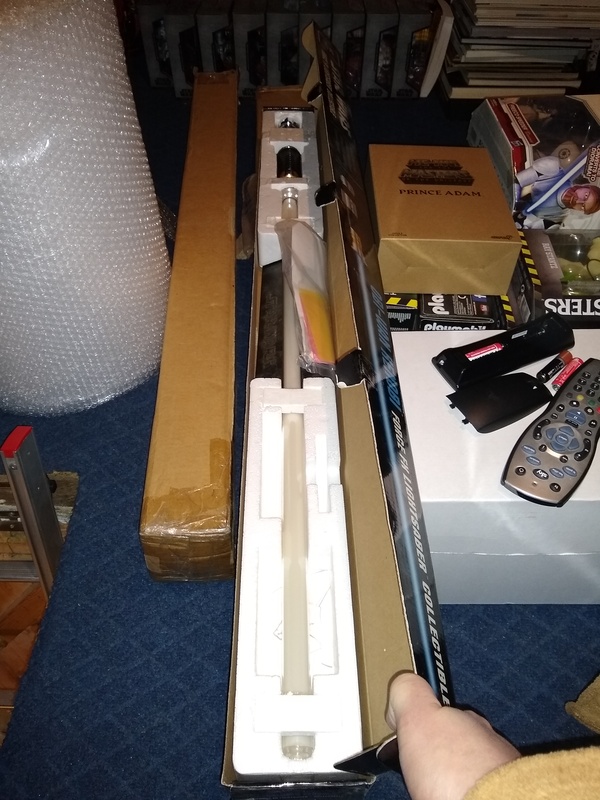 It comes complete with everything including the original box, instructions, poly inserts, plastic stand parts and original outer mailer. This example is as good as you are going to get outside of buying it new and sealed. I have only opened it to test and have a play with once a year or so! I have seen these selling for buy it now prices of £250 lately so i am asking for a fair price of £200. 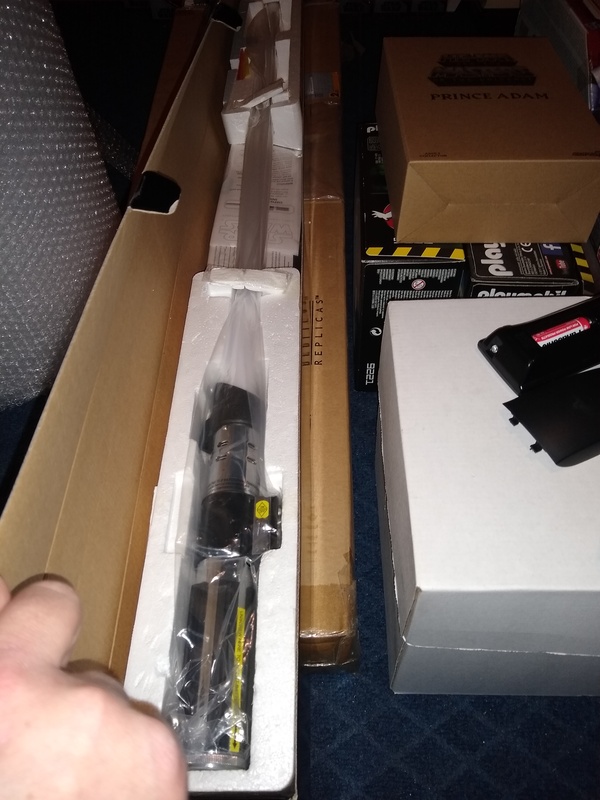 The only other thing of note is that i would prefer local pick up from the Grimsby area as i will not accept responsibility for damage in transit and we all know what a good job our couriers can do! Any questions then please get in touch guys. 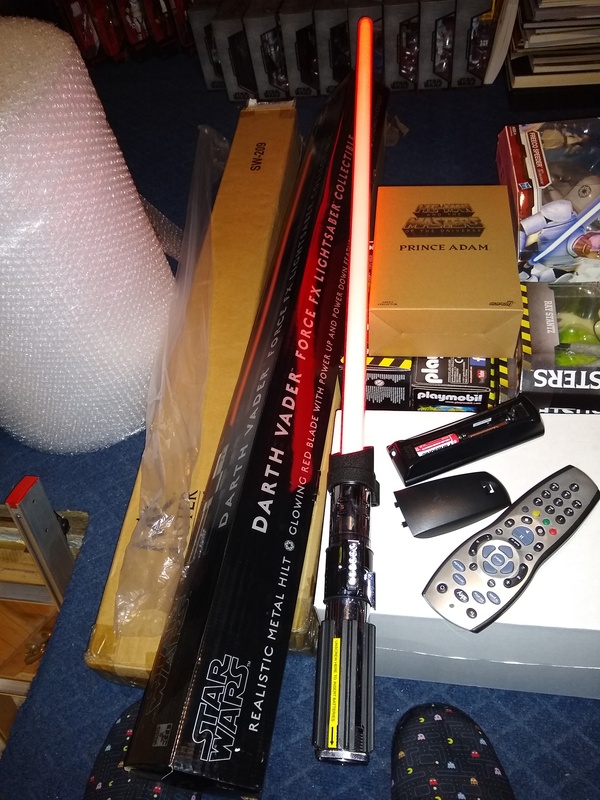 I also have a Darth Vader A New hope SW-218 that i am undecided on weather to part with or not. This will be cheaper, around the £150 mark. I'll bang a few photos up of that also and if anyone fancies it then feel free to convince me to part with it!